Joined the USAF at the age of 17 from his home town of San Diego, California. Joined with a guaranteed job of Security Specialist. Completed BMTS, Security Tech School and ABGD at Camp Bullis, TX. Stationed at 15th SPS @Hickam AFB, HI and 366 SPS @ Mtn Home AFB, ID. In 1980 crossed trained from Security to Law Enforcement and after the LE Academy was stationed at 3700 SPS @Lackland, AFB. Left Lackland in 1987 to 15 SPS @ Kunsan, ROK and the back to teach at the Academy until my retirement in 1995. I am very proud of my career and service to my country. John is currently the National Director, Police Training Institute at Fight Crime: Invest in Kids. He is responsible for developing curriculum and building the institute that will educate law enforcement and the community with empathy,understanding and communication skills to bridge the gap and create safer communities. After news broke about the closing of the USAF Security Forces Museum, John came up with the idea of creating a virtual Museum & Memorial for all USAF Air Police, Security Police and Security Forces personnel, past, present and future. 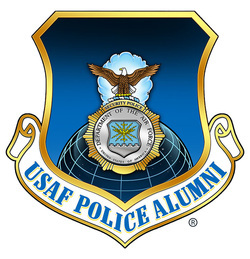 Through collective efforts he brought together the founding board of directors and established the USAF Police Alumni Association. John is married to Sandy Taylor and lives in Vass, North Carolina. He has two sons (Joshua & Zakk) and a daughter (Michelle). John & Sandy are avid motorcycle riders and SCUBA divers.